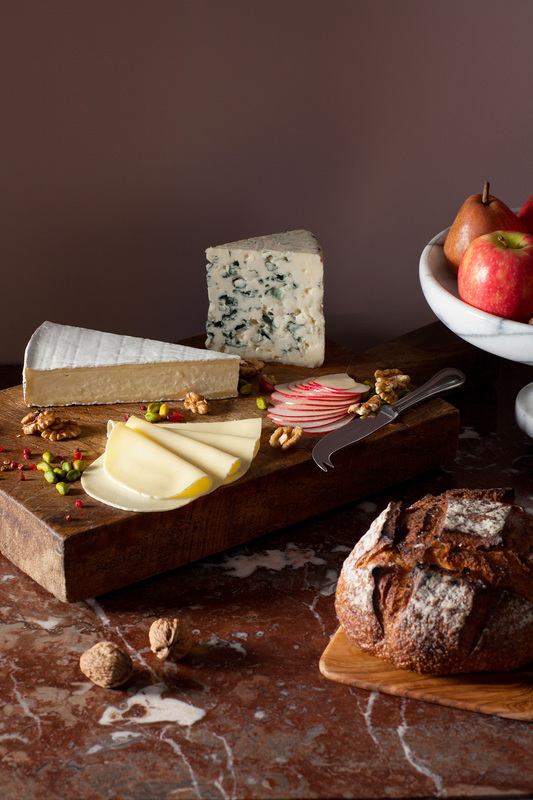 In winter, give your cheeseboard a boost by mixing up flavours. Lay out slices of a few different cheeses, such as Roquefort, Camembert and Brie, for a bit of variety. Toast your bread for a softer, slightly melted effect and add a little crunch with dried fruit and nuts. To end on a sweet note, savour a few slices of apple.